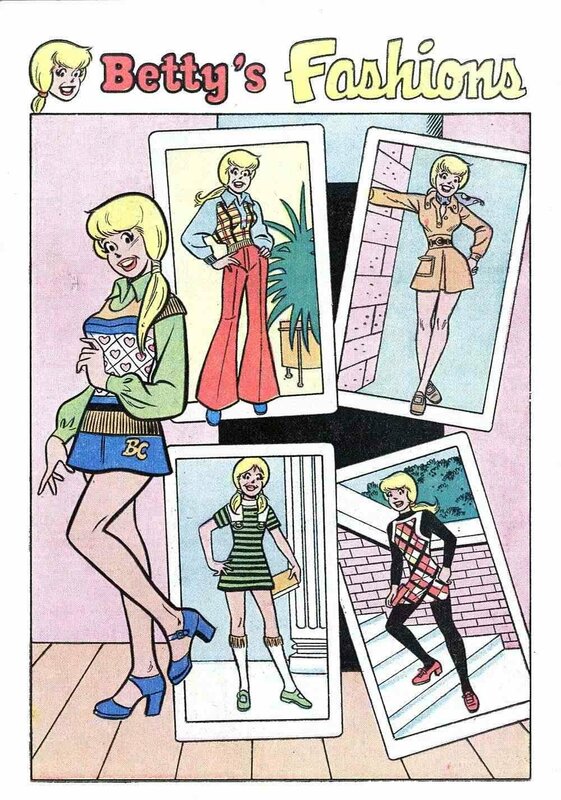 dressed up like a lady: Archie and the gang. 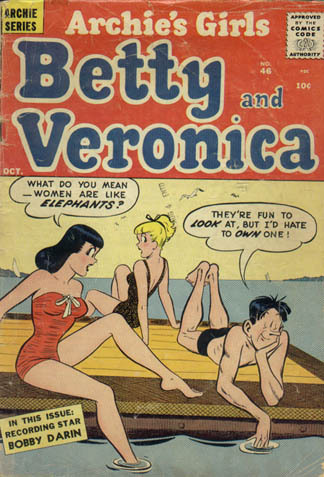 Here's something I may not have revealed to you: I've got a thing for Betty and Veronica. 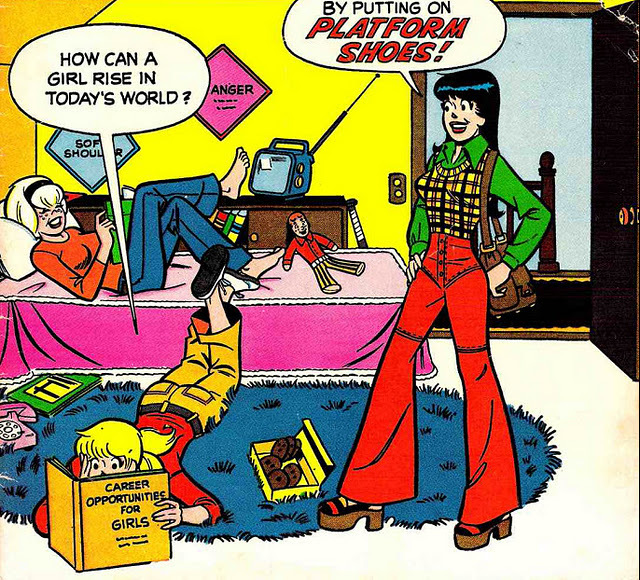 Our house is littered with vintage copies of Betty and Veronica Digest, Archie Pals 'n' Gals, Laugh Comics, and more, most of them laying around for no other reason than to brighten life with their endearing style. 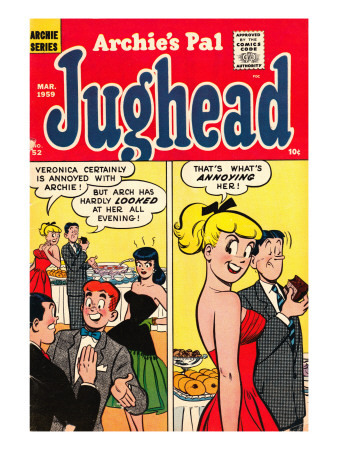 We even have an Archie and Friends calendar! 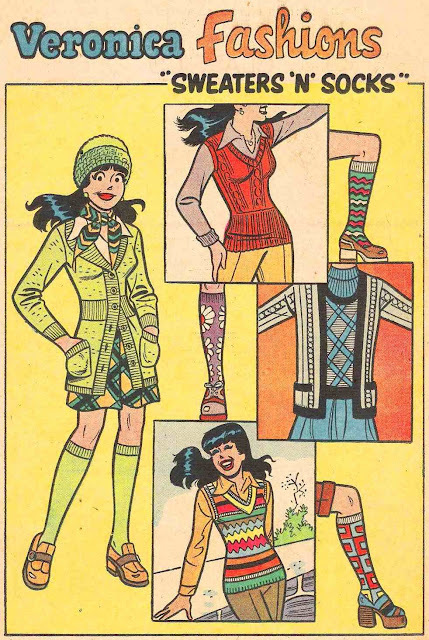 Many of these images are also from the awesome blog my-retrospace, which you should check out if you love vintage images. 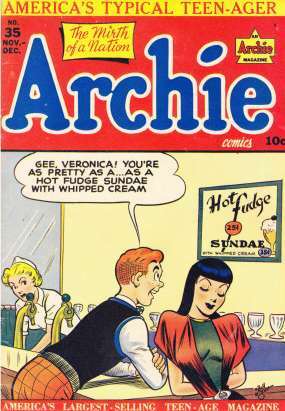 MC and I have a lot of vintage comics in general. 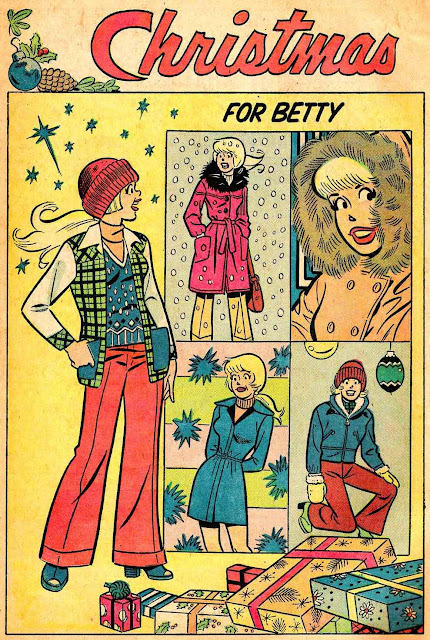 I can't imagine how anyone couldn't love the way people are drawn in old comics, or the tonal effect of Four-color process and Ben-Day Dots. 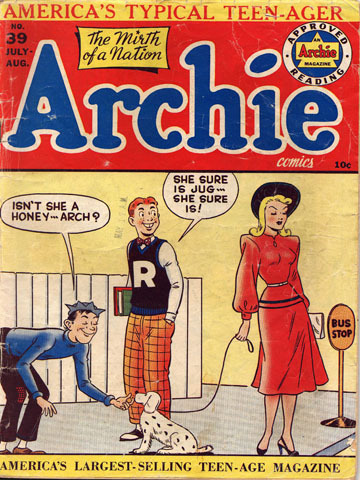 I particularly dig on Archie comics because the focus on every-day high school life rather than action leads to increased attention to the characters' personal style -- as filtered through a dated, comedic, cartoon universe. 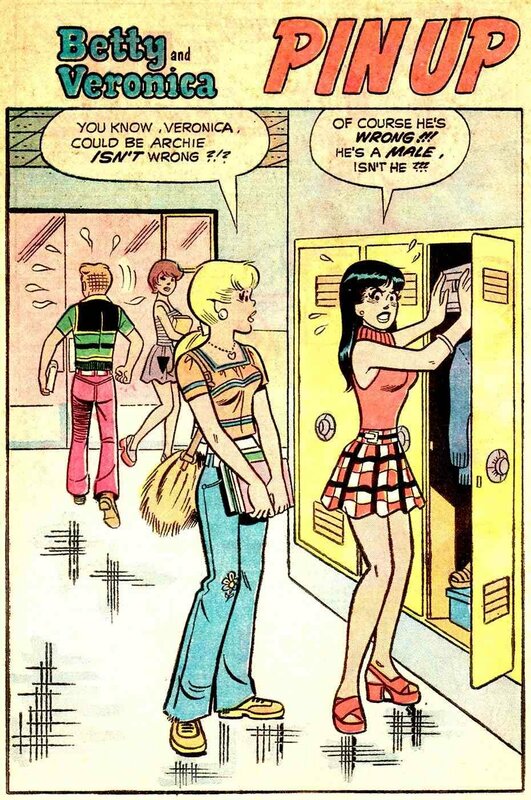 Archie Comics are my go-to comics when I am under the weather. 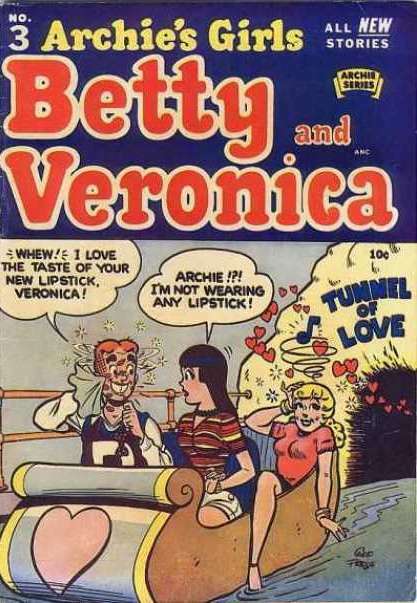 I have a stash in the basement that I can pull out whenever I need a pick me up. 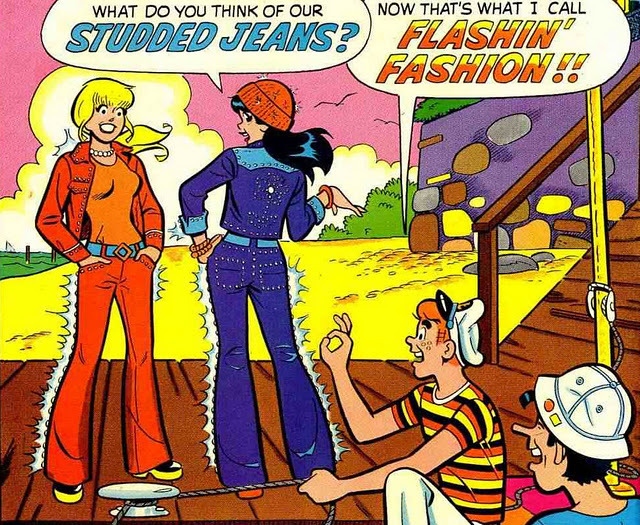 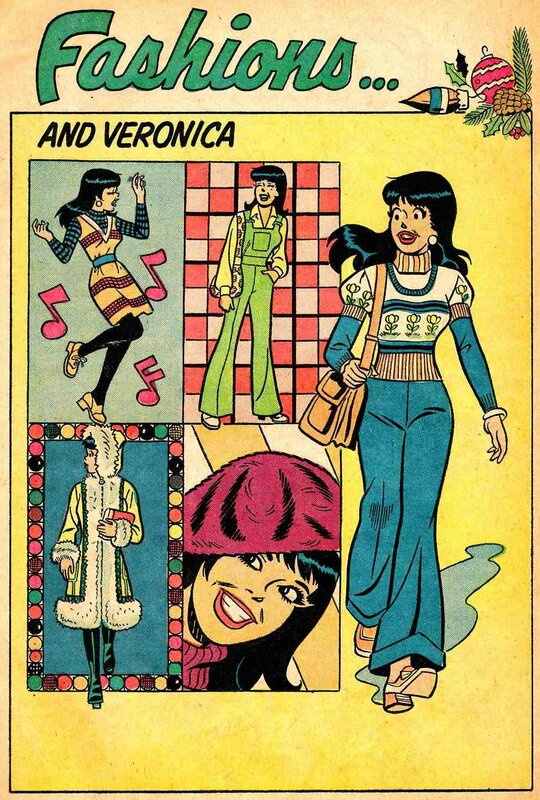 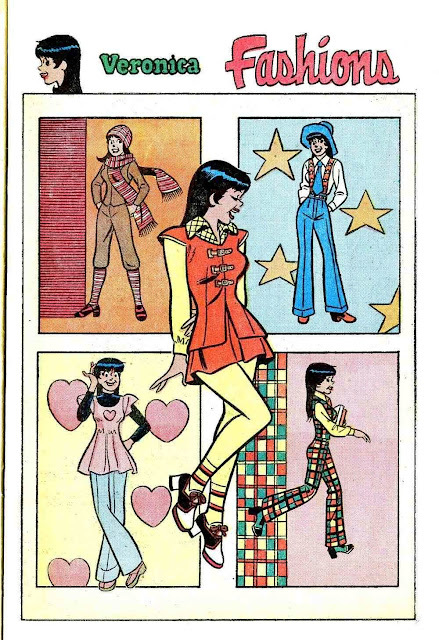 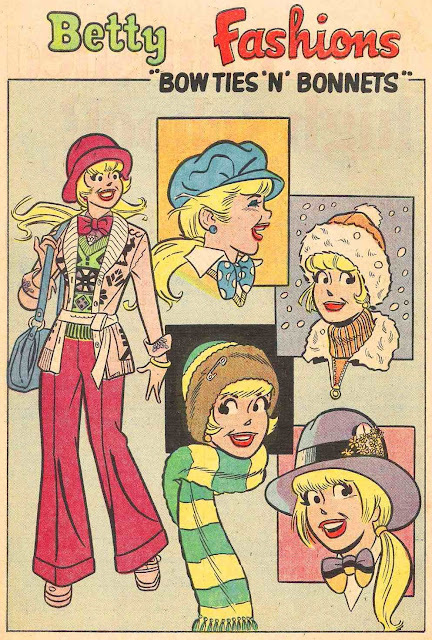 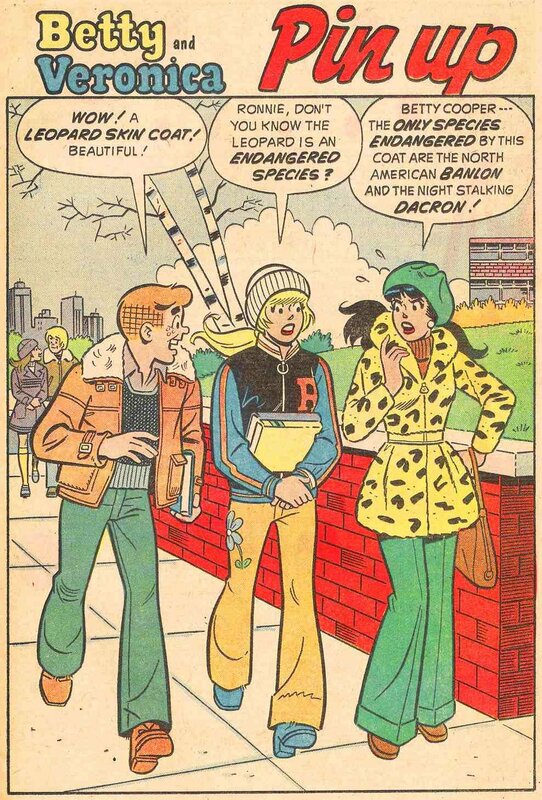 :) Personally I am a Betty kind a girl, but I do admire Veronica's fashion sense.